A couple return to Brighton where they first met, to celebrate their 10 year wedding anniversary. 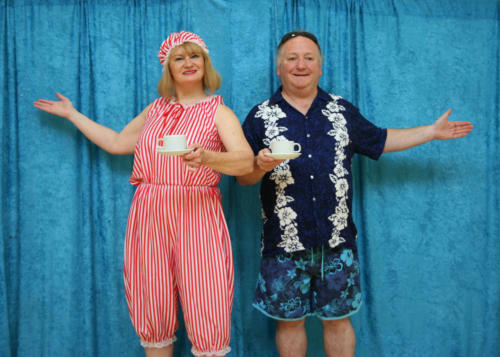 This show contains familiar songs with a summery seaside theme sung while they visit a teashop, take part in a swimwear parade and get invited to a glamorous party on a boat. Songs featured include ‘A Fine Romance’, ‘Those Lazy Hazy Crazy Days Of Summer’, ‘Tea For Two’ and ‘I Do Like To Be Beside The Seaside’. Available 1 June until 8 September 2018.